Lilongwe, Malawi's capital, lies in the southwest of the country near the border with Mozambique and Zambia. The SOS Children's Village is situated among semi-rural settlements, around four kilometres south of Lilongwe. The area is only sparsely vegetated, with new shrubs thriving on the comparatively flat land. The red sand, which is characteristic of this region, beautifully contrasts the colours of the vegetation. 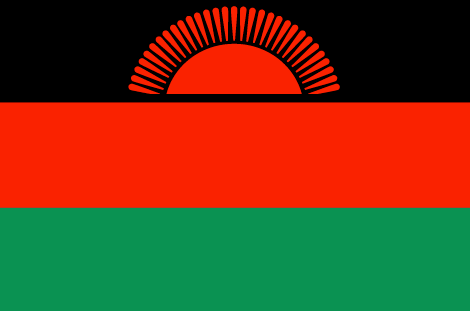 The official opening ceremony took place on 12 September 1996 in the presence of the state president of Malawi and numerous other guests of honour. SOS Children's Village Lilongwe comprises twelve family houses with a capacity for up to 120 children, an administration building, a multi-purpose hall, a corn mill and houses for the village director and the SOS aunts (who support the SOS mothers and take care of the children when the mothers are on leave). The SOS Kindergarten and the SOS Hermann Gmeiner Primary School have also been operational since 1994. Up to 180 children can be looked after in the six group rooms of the SOS Kindergarten. The SOS Hermann Gmeiner Primary School consists of twenty classrooms, a library and a sports field, and has a capacity for, up to 670 children. The volleyball, netball, basketball and football pitches can also be used by the children of the SOS Children's Village for their spare time activities. In 1997, an SOS Medical Centre was added and has since been extended twice. Today, the clinic comprises five rooms for medical treatment, a laboratory, a tuberculosis treatment centre and facilities for antiretroviral therapy. The therapy centre focuses on children with disabilities and offers physiotherapy, speech therapy, occupational therapy and orthopaedics. The SOS Hermann Gmeiner Secondary School opened its doors in March 1998; it consists of thirteen classrooms, a laboratory, a workshop and a room for home economics and offers education to up to 520 students. In January 2002, an SOS Social Centre became operational, coordinating an AIDS outreach programme in the vicinity. This family strengthening programme reaches up to 2,000 people per year and offers access to essential services for children’s development (eg. educational, nutritional and health support, social skills) and supports families to protect and care for their children. The programme also aims at linking families with income generating activities and offers help to improve the parents’ parenting skills. An SOS Vocational Training Centre, with a capacity for up to 140 youths, was added in July 2004, comprising a kitchen for food processing classes, three classrooms for secretarial, computer and entrepreneurial classes, six classrooms for carpentry, tailoring, basic metal work, appliance repair, plumbing and agriculture as well as an agricultural area with cultivable land and a sales booth.